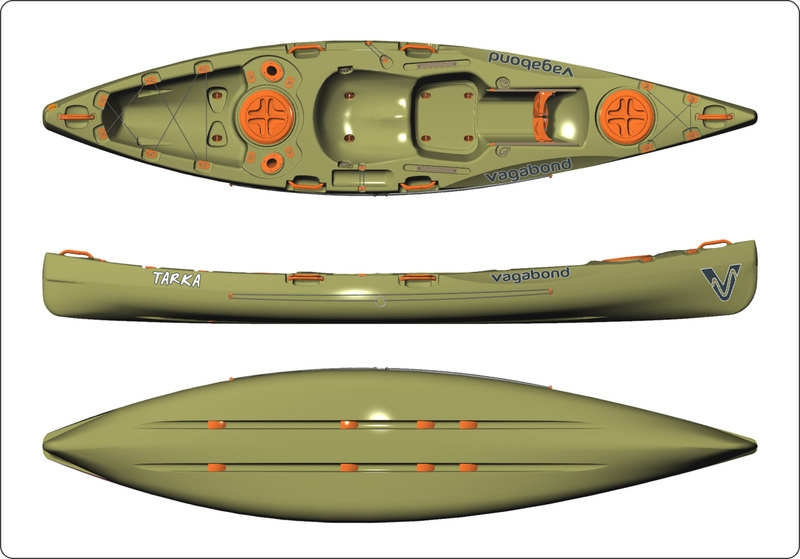 We’ve added angling-specific features to the versatile Tarka so that you can enjoy speed and manoeuvrability in a customisable fishing kayak. Deck Rails allow you to personalise the deck by attaching items like a fish finder, GPS, camera, selfie stick or additional rod holders on either side of the Sculpted Seat. Fixed to the rails, you don’t need to worry about these valuable items being washed overboard. Two flush-mounted Rod Holders are located behind the seat, on either side of the 8″ Screw Hatch. These rod holders free up your hands when you need to paddle, de-hook a fish or take time-out from fishing to have a drink or to eat. Each rod holder has a Multifit positioned close by for securing your rods while paddling. By attaching your anchor to the Anchor Trolley, you can spend all day in that prime fishing stop without drifting away on the current. Slide the anchor forward or backwards to get the boat at the perfect angle as determined by the sun, wind and currents. Like the Tarka, this Tarka Angler has adjustable Footrests, a Paddle Rest, Bungee Cord straps to secure gear to the bow and a sizeable Tankwell with Crate-Holding Indents.